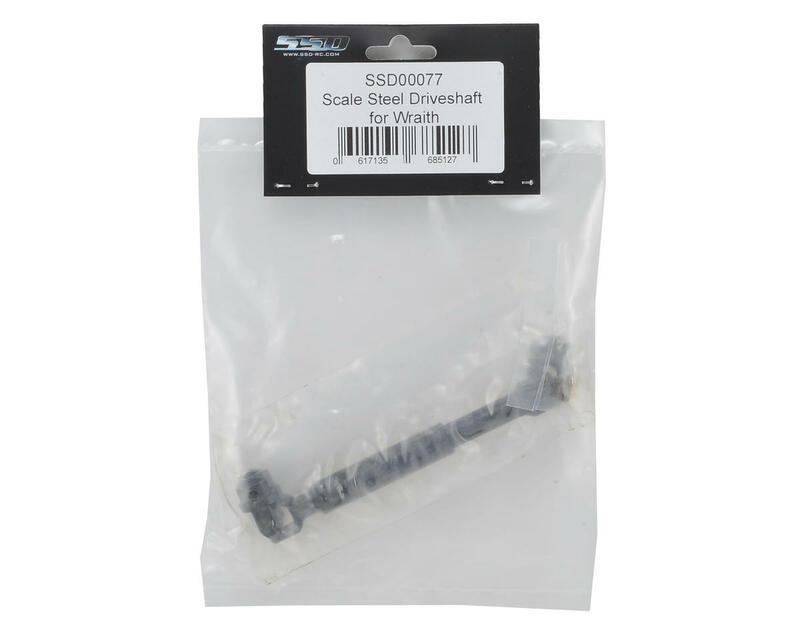 The SSD Wraith Scale Steel Driveshaft is a CNC machined, hardened steel driveshaft option that fits on the front or rear of your Wraith. These driveshafts are thinner than the stock WB8 style shaft, or other after market options, for improved ground clearance. Plus, they feature a 50 degree operating angle for smoother operation at aggressive flex angles. 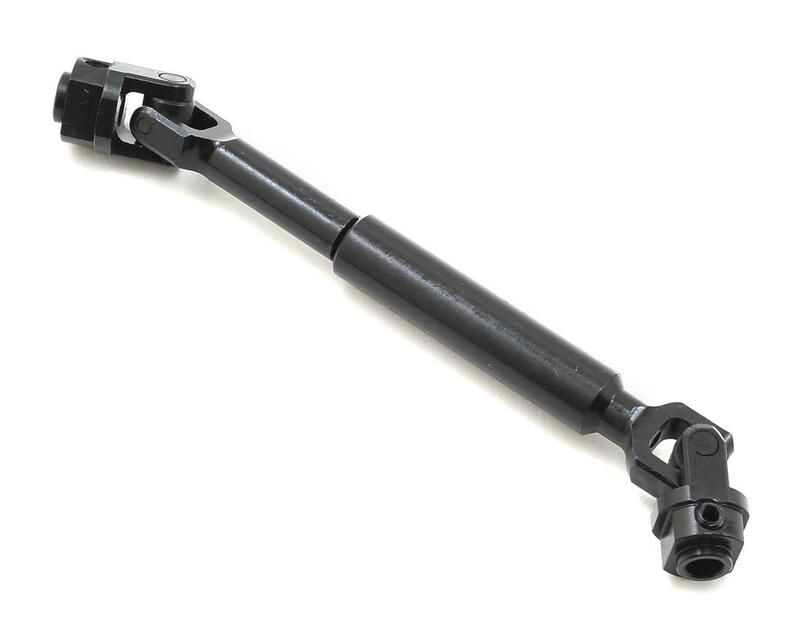 The driveshaft is factory assembled, compatible with Axial M4 screw shafts and fits 5mm diameter output shafts.